The term biodiversity has multiple meanings. Some look at it in terms of genetics, others ecosystems, but most look at it in terms of species. Simply put, it is the variety of life within a system. The system could be on a small scale, such as a pond, or on a larger one, such an ocean. Many biologists would agree that the northern Gulf region is one of the more biologically diverse areas in the country. For an area it&apos;s size, there are more species of frogs and snakes than anywhere else in the U.S. or Canada. The Mobile Delta has about 350 species of freshwater fish, ranking at the top nationally, and it has the largest variety of turtles on the planet. The Pensacola Bay System supports at least 1400 aquatic species. Their distribution around the bay is dependent on environmental conditions, such as temperature and salinity, and some are restricted to selected habitats, such as seagrass meadows. 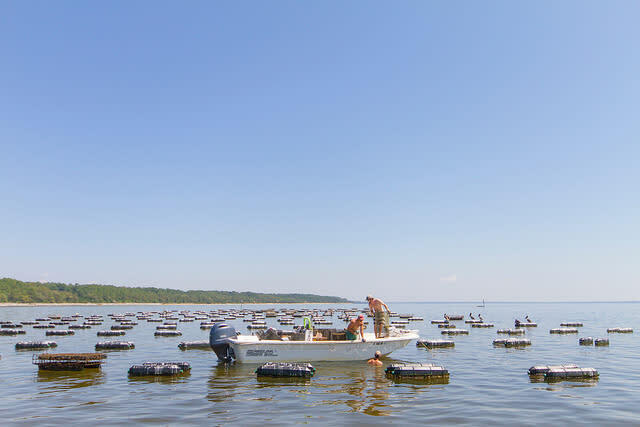 Oyster beds have the highest biodiversity of any habitat in Escambia Bay, with seagrasses having the second. There are at least 200 species of fish identified from the bay system. The most commonly collected are silverside minnows, spot croaker, anchovies, menhaden, and pinfish. Mullet are one of the more common in the Perdido Key area and 81 species of fish have been identified from the Escambia River, making it the most fish diverse river system in the state. There are 187 species of large bottom-dwelling invertebrates identified from the bay area. The diversity is higher in the upper parts of the bay near the rivers than it is at the lower end. Those that can tolerate the constant changing conditions, and live closer to the surface of the sand, are more common. The polychaete worm Mediomastus ambiseta, and the tubeworm Streblospio benedicti are the most common bottom invertebrates in the bayous. Phytoplankton are microscopic plants, many of which float in the water column. They are a vital part of the food webs within the bay so their diversity and abundance are critical. At least 21 varieties have been identified from Escambia Bay and 80 generate from the Santa Rosa Sound and Little Sabine. The variety varies with the seasons. 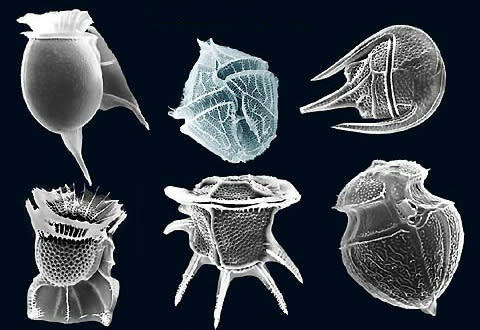 Dinoflagellates are more common in winter and diatoms more so in the summer. As the name implies, zooplankton are microscopic animals. 80 different species have been identified from the bay system with the copepod Acartia tonsa being the most prevalent. About 400 varieties of periphytic algae are found in the Bay Area. Periphyton are organisms that grow attached to other objects or substrate. The single-celled green algae Chorella ellipsoidea is the most common in the bayous. The Cyanobacteria Lyngbya and Ocillatoria dominate the salt marshes. And the diatoms Nitzschia longissima and Cylindrotheca closterium are the most common in Santa Rosa Sound. Most folks do not know these microscopic organisms exist, or their importance to the marine ecosystems, but they are familiar with the larger plants along the shore and submerged. Our local salt marshes are dominated by Black Needlerush and Smooth Cordgrass. Salt Meadow Cordgrass (or marsh hay) is also common. There are at least three species of seagrass here. Turtle grass and shoal grass are the most common in the Sound and Big Lagoon. In northern portions of the bay, Widgeon grass becomes more common and eelgrass is found in the freshwater systems. Maintaining this biodiversity is critical to restoring a healthy estuary, and chronic changes and loss of habitat are difficult to overcome. The Marine Science Academy at Washington High School and the marine program at West Florida High monitor the diversity and abundance of nearshore fishes each year. Sea Grant annually trains volunteers to help monitor selected indicator species used in assessing the state of the bay. If interested in volunteering, contact me at the Escambia County Extension office. (850) 475-5230 or roc1@ufl.edu. Rick is the Florida Sea Grant Agent for the UF/IFAS Escambia County Extension office. A native of Pensacola, Rick had an early interest in the world of water and, like so many others who loved Cousteau, headed out to become a marine biologist. He studied marine biology at Dauphin Island Sea Lab while a student at Troy University and received his master from Southern Mississippi. He focuses his interest on estuarine ecology and is a big fan of diamondback terrapins. When not doing Sea Grant programming for the community he and his wife Molly like to canoe, camp, hike, snorkel, and sail.